According to the boy’s grandmother, Lev even cries when he sees Sir Elton on TV because he recognizes him. Lev is turning four soon and has a hard life; his five year old brother is HIV positive, his mother died from drug addiction two years ago and his father is in jail for murder. But, regardless of his hardships, Lev is still able to smile. 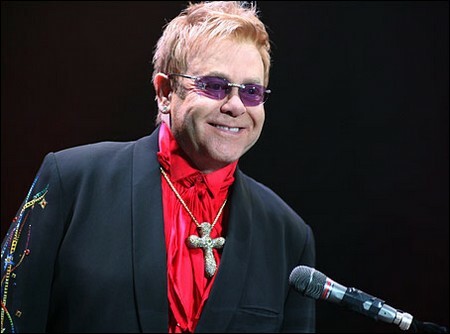 Sir Elton and his partner David Furnish are both parents to their son Zachary and they are apparently looking to have another child sometime soon. Perhaps since Lev’s adoption had no possibility of coming true, Sir Elton decided to sever his ties as to not lead the boy on. It makes sense, but you would think that with all his “gazillions” of dollars that he would at least see the boy cared for financially if he did in fact “steal his heart”.